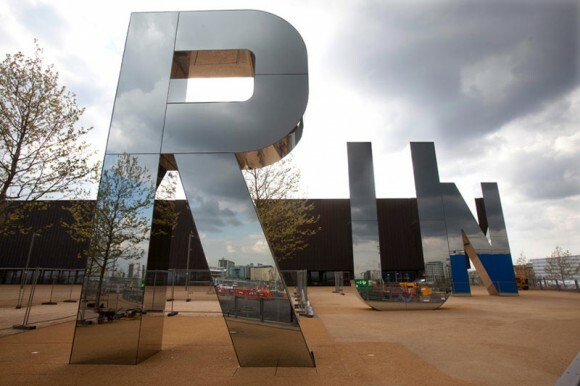 'RUN' is one piece of artwork located at the London Olympic Park that uses stainless steel. Stainless steel is the material of choice at the London Olympics 2012. The Olympics Committee purposely selected this metal for its durability, sustainability and corrosion-resistant traits. It was used on the construction of the track and field stadium, the new Emirates cable car mass transit system (designed to transport ticket holders) and the swimming arena. Another realm where this metal is being shown is through the permanent artwork of many different installations located throughout the competitive zones. Artwork for the Olympics was created by different internationally-renowned artists with installations located all over London and the surrounding area. One of these impressive pieces of artwork is called ‘RUN’ by Monica Bonvicini. To find out more about the benefits of using stainless steel and nickel alloy bars for your next art installation, call National Specialty Alloys today. Stainless steel is an ideal choice for parking garages and storage dwellings. England is filled with much excitement and enjoyment as tourists, athletes, fans and families from all over the world gather to enjoy the Olympic Games throughout London. It is wonderful to witness the patriotism and pride spread throughout Great Britain. It is even easily felt over 5 hours away in the countryside where locals watch the competition unfold from afar. These may seem like two different worlds, Northern England and London, but they are the same. They both include a shared patriotism and pride that is felt…and they both experience the infamous unpredictable English summer weather. It is impossible not to notice the change of the weather that occurs in one day. It goes from sprinkling to sunshine to cold providing visitors with all four seasons in 24 hours. With that said, I started to wonder what type of material holds up under such unpredictable conditions. Wood becomes torn and frayed while brick makes a shed look tired. So what should one use for storage and parking dwellings in Great Britain? Stainless steel holds up under extreme weather conditions making it ideal for the bustling city of London and the abundantly green Northern England border near Wales. When unpredictable weather strikes, it is important to use material that keeps your vehicles, farming equipment and home improvement tools protected from weather damage. Water, wind and snow can freeze, rust and permanently damage your belongings. Instead of worrying about the cost of leaks, upkeep and repair choose stainless steel. It is weather resistant, durable and does not disintegrate when water and extreme conditions come into direct contact with it. To find out more about the advantages of using stainless steel and nickel alloy bars for your parking and storage projects call National Specialty Alloys today! Be smart like the London Olympics 2012 Committee by choosing stainless steel for your next project. The London Olympics Committee for 2012 put into thought the roles types of steel would play in the creation for venues and public areas for the Olympic Games. The main material chosen had to exhibit environmentally safe traits. The Committee also took into consideration the concern the growing impact the selected metal would have on the land, nature and the people around it. The Committee chose stainless steel for a wide array of reasons including it being a 100% recyclable metal. Today I am going to share with you an insight of why stainless steel was chosen for the Olympics and why it is the right choice for your next home and/or business project. When producing metal for a project much energy goes into the production process. In the past, manufacturers and engineers wasted an abundant amount of energy on soldering, welding and implementing other techniques to get a selected metal just right. Steel manufacturers took notice of this excessive energy it emitted so they decided to make a change. Currently, stainless steel manufacturers evolved this technique and it is now an energy efficient process making it a high quality, cost-effective, energy saving, environmentally safe selection for you. To find out more about nickel alloy bars, call one of our specialists today! The most expensive cable car system in the world is built for the London Olympics 2012. The London Olympics 2012 is expected to bring in 10,500 athletes, 8.8 million sold tickets, 37,000 accredited and non-accredited media and all this does not even include the Paralympic Games. Out of these numbers, an obvious, large dilemma amongst the Olympics Committee started to form. How is London going to transport spectators back and forth between specific London Olympics and Paralympics’ arenas? The solution would not be cheap or easy but it had to be done. Vehicles are not permitted to pass between locations unless they are part of a pre-approved VIP group so what about the rest of the masses? You do have the underground transportation but it would not be enough. Thus, the creation of the Emirates Air Line was born. The Emirates Air Line is the world’s most expensive cable car system spanning across the Thames River in the Eastern part of the city. The cable system has two towers weighing over several hundred tons each. For instance, the south tower alone, which is the larger of the two, is made up of 6,500 steel pieces and it weighs approximately 750 tons. The cable cars can transport around 2,500 people every hour. Each cable car departs every 30 seconds. This saves negative impact on pollution and decreases traffic issues from developing further. To put it into perspective, Emirates Air Line cable system is the equivalent to 30 buses. Emirates Air Line paid $57 million in sponsorship money to fund the project. The price for the transport has not been fully decided yet. City officials estimate the cost of a fare will equal the same amount as a boat ride fare, $8.00. To find out more about the benefits of building and designing with stainless steel and nickel alloys, please call National Specialty Alloys today. What do you think of Kapoor's steel structure? Hideous or genius work of art? This year, there is a conscience effort to integrate the importance of sustainable living and recycling efforts throughout the duration of The Games. One way London has chosen to spotlight this matter to the world was in the building of the stadium itself. This stadium is being described as “the most sustainable ever built.” The entire top loop was produced from surplus gas pipes while the lower section was created with a minimal need for steel and concrete by having the stadium sit within a basin in the ground. It holds 80,000 people during the competition but only 25,000 are permanent seats. The temporary upper tier seating is created from a combination of lightweight steel and concrete which shall be removed afterwards. This allows it to be used for a wide array of events after it is all over. Another structure designed for the London Olympics is the ArcelorMittal Orbit. It stands 377 feet high, has a 1,150 spiral staircase and weighs about 1,400 tons. It is created by the internationally known sculpture Anish Kapoor. It has received mixed reactions amongst onlookers. Some describe it as a symbol of what engineering and art can do when brought together by saying it is a great addition to the city and the Olympic Games. On the other hand, critics have bashed this piece of art. It is being mentioned as a hideous steel structure that emulates the construction of a poorly made, dangerous roller coaster. No matter what your opinion is there is no mistaken the use of steel throughout the piece. 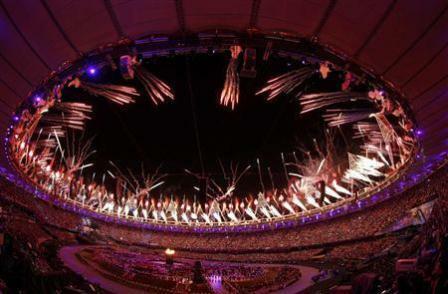 Check out the 2012 London Olympics and let National Specialty Alloys know what you think. To find out how you can incorporate stainless steel or nickel alloy bars to your next project, call National Specialty Alloys today! The London Aquatic Center by Zaha Hadid is built with a steel roof that bends, twists and contracts in response to the weather conditions outside. The entire world is ready to watch the Summer Olympics unfold and without hesitation I can honestly say the swimming events are by far my favorite. This year the event will be held at the new, impressive London Olympics Aquatic Center. This massive structure was designed by Zaha Hadid. It is being described as an iconic structure that will be present and used in London even after the Olympics games. The design was created with waves and water movement in mind. The unique style of it is already being highlighted in world renowned architectural journals and exhibited in the infamous global media coverage for the London Olympics 2012. The Aquatic Center holds 17,500 cheering Olympic fans at time. It will host water polo, swimming, diving and synchronized swimming. There is also a drying area for competitors. Protecting the sporting events and fans is a wave-like steel roof. The colossal roof alone is a remarkable sight to see. It consists of a 30m steel truss weighing over 70 tons located at the southern wall of the roof. This truss connects to 10 other steel trusses, which are broken down into 4 sections covering up to 120m across before reaching the two northern roof supports. What separates this roof from past aquatic venues is its capability to expand, twist and contract in response to the London weather. This is only the first of many blogs National Specialty Alloys will cover regarding London’s Olympic structures. To find out more about stainless steel and nickel alloy bars, call us today!